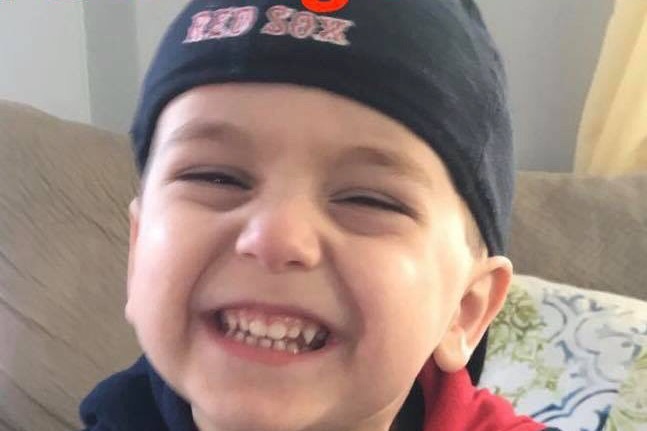 Will is an adorable 2 year old kid suddenly facing a fight with cancer. He has 2 older siblings and 2 incredibly brave parents, Cara & Craig, who are ready to fight with him. Cara & Craig are amazing people. They are staying positive, rallying support for Will and dealing with life in uncharted waters. They would never ask for financial support but we know that it can help them. There will be travel for treatments ahead, medical costs, etc. and it would be great if we could come together to give them a little cushion so they can focus on the important task of caring for their family and helping Will heal. I spent the day with Will, Olivia and Cara yesterday. Will is in good spirits as always. Just a happy three year old squirting his sister with a big squirtgun and making “soup” with leaves in a beach bucket. He has a nice big hat to keep the sun off his head, and is starting to grow a little duck fuzz back after losing most of his hair and shaving the rest (dad Craig & brother Gavin shaved theirs with Will). He has been undergoing radiation treatments multiple days per week and continues chemotherapy as well. He also had an unexpected hospitalization due to an infection a few weeks ago. The Bren’s have spent more time at the hospital than at home since early June. They are all rolling with the punches & managing this crazy new schedule & emotional rollercoaster as best they can. Your support means so much to this family and continues to help them cover the costs of travel back & forth to Boston, medical bills, etc. Thank you to everyone who is pulling for Will. Keep praying, organizing, donating, sending good vibes! Tickets are in! Please plan to attend this fundraiser for Will & family if you can. 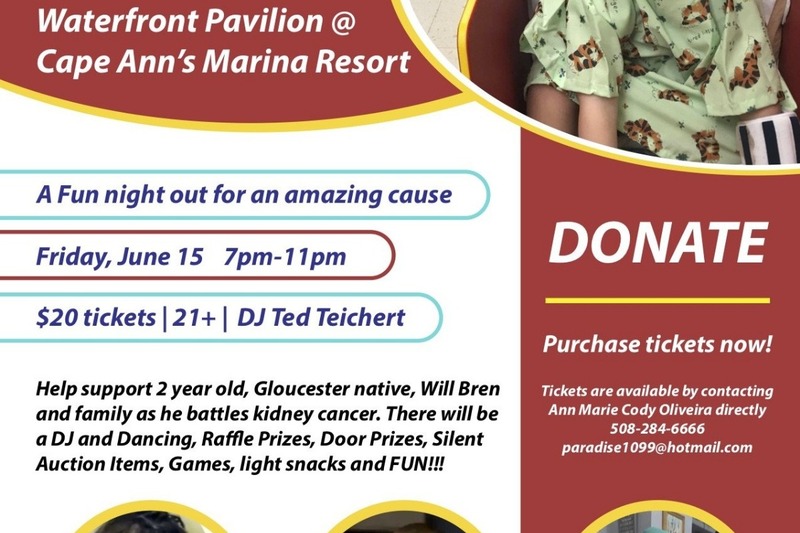 June 15th 7-11pm at the Mile Marker tent in Gloucester. Message me & I'll meet you to sell tickets! An update for those following. Will was diagnosed with a Stage 4 Wilm’s tumor. His oncology team has planned 25 weeks of chemo along with radiation which will begin in week 6. He started his chemo last week the same day they went to meet and follow up on his biopsy results. Cara and Craig are focusing on these positives - Will tolerated the first chemo well and is his happy little self, the oncology team say Will’s particular diagnosis has a high cure rate, Will and their family have a huge group of people saying prayers, sending positive vibes, and lending support in as many ways as they can.